These flings are made from nice Tibet lamb skins. The white is made from bleached white skins. The black, red, brown, and buttery cream are made from dyed skins. 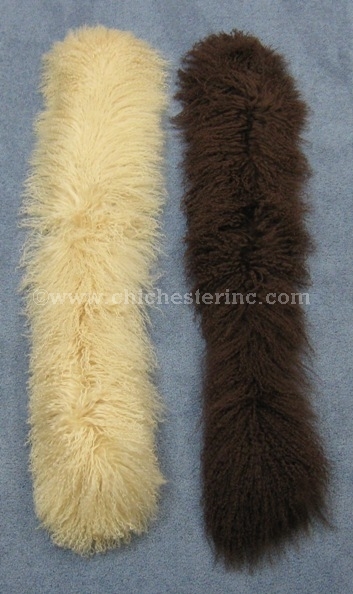 Each fling is approximately 47" long, 4" wide not including hair, and 7" to 8" wide including hair. Tibet lamb are not endangered. The skins are a by-product of the food industry and the animals are not killed just for their skins.